It’s hard to imagine life in modern China without WeChat. The app is a trailblazing poster child for the new internet messaging era where China is popularly believed to now be years ahead of the rest of the world. Hail a taxi, split the bill in a restaurant, purchase a cinema ticket, invest in financial products, read the news, follow their favourite brands, transfer money to their friends, go shopping online, meet new friends nearby, ALL THIS and more can be done by Chinese within 1 app: WeChat. There is simply nothing quite like WeChat outside China and it is fair to say that few people wanting to do businesses in China can afford to ignore the platform. Why is it by far China’s most important online platform? What opportunities lie on WeChat for foreign brands? WeChat began life in January 2011 as a simple chat app with features and functionality similar to WhatsApp. It was created by a small team of just eight developers within Tencent’s R&D team offices in Guangzhou. Over the following five and half years, WeChat grew beyond anyone’s wildest dreams to become by far the most important app in China. It allows us to order cabs, buy film tickets, play games, check in for flights, pay bills, listen to music, read news, shop for clothes or meet random people nearby. Yet despite having an amazing variety of features, the core of WeChat is still messaging. Its primary function is for communication with friends and family. Launched in 2012, this open platform built on top of WeChat allows businesses to access and interact with WeChat’s massive user base. WeChat Pay has grown extremely rapidly in the past two years. It is now commonly accepted in most stores across China. WeChat Pay sits alongside fierce rival Alipay (Alibaba Group) and China’s default debit & credit card system Union Pay as one of the big 3 payment options for Chinese consumers. Other players such as Apple Pay, QQ Wallet (also owned by Tencent) and Baidu Wallet hold margin market shares. WeChat is a closed and private network which places a high priority on protecting users’ information. The app carefully limits the number of unsolicited messages that businesses can send to their followers. It also does not allow businesses to directly gain access to personal information such as email address or phone number. WeChat has strategically partnered with several businesses (e.g. JingDong for E-commerce, Didi Chuxing for ride hailing) to provide an entire range of online stores and services baked directly into the app. WeChat popularised the use of QR codes in China which are now ubiquitous across print media, stores and billboards. Scanning QR codes provides a convenient gateway between the online and offline worlds. An immensely popular feature used to share pictures and short videos with friends. Users will scroll through this stream of content in a similar way to the Facebook news feed. The addictive combination of switching between checking moments and chatting with friends provides the core loop which engages users and keeps them returning to the app. 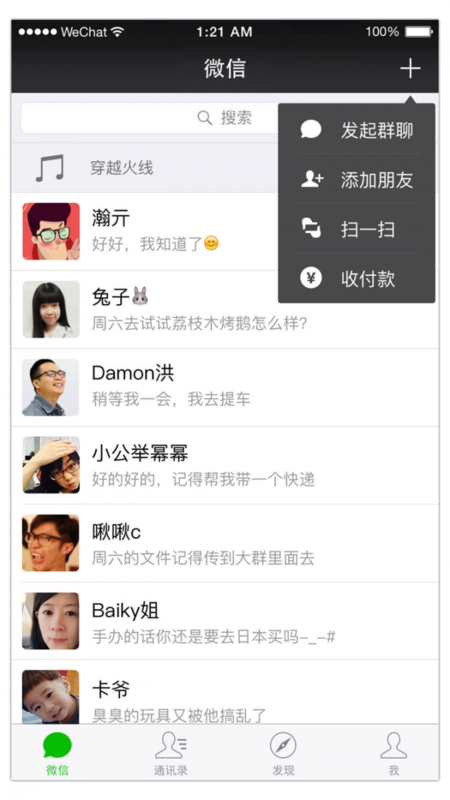 Businesses interact with users on WeChat through WeChat official accounts. For a WeChat user, adding an official account is practically the same as adding a friend. Users can also send messages to official accounts in the same way as their friends. This creates interesting opportunities to use WeChat as a customer service platform. Within China it’s now fair to say that most companies, especially SME’s will pay more attention to their WeChat official account than their own website. Many small businesses may not even bother with a formal website as many Chinese users have skipped the desktop era are far more comfortable and familiar with using mobile and in particular WeChat. They are more likely to find out about services or brands through their social circles or scanning a QR code than through a search engine such as Baidu (China’s equivalent to Google). WeChat provides an open platform for businesses to build their own apps on top of WeChat basically ‘apps within an app’ model. Developing for WeChat is much cheaper and easier than native app development for both Android and iOS. The cost of user acquisition is also far lower than with native apps; adding an official account can be done with one click. Most businesses are using the platform for pushing promotional branded content and setting up an E-commerce store to capitalise on socially driven commerce but the possibilities for organisations go far beyond this. Interesting case studies include the LINQ hotel in Las Vegas which enabled their hotel rooms’ equipment (lights, doors, air con etc.) to be controlled via their WeChat official account. 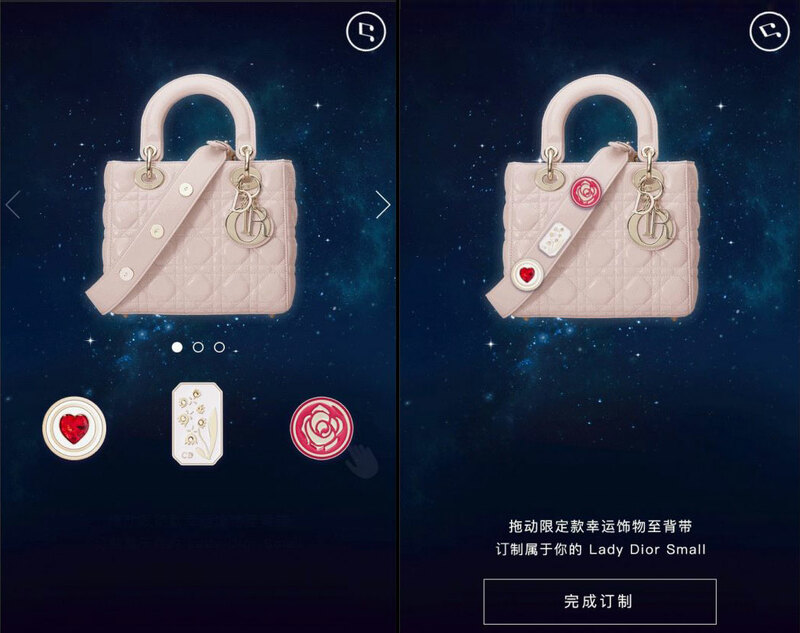 Even traditionally conservative luxury industry brands have been embracing WeChat E-commerce campaigns. In August 2016 Dior sold out a limited edition run of 200 customizable handbags each priced at 28,000 RMB ($4,210) exclusively on WeChat. Many businesses have chosen to link their in-store Wifi, their CRM and loyalty systems directly with their WeChat accounts. As the WeChat official accounts platform is open to being linked with other websites or services across the web the possibilities are wide open as to what can be achieved. The EU SME Centre in partnership with Emerald Green Consulting offers a package of services for setting up your WeChat shop to sell directly to the Chinese consumers.